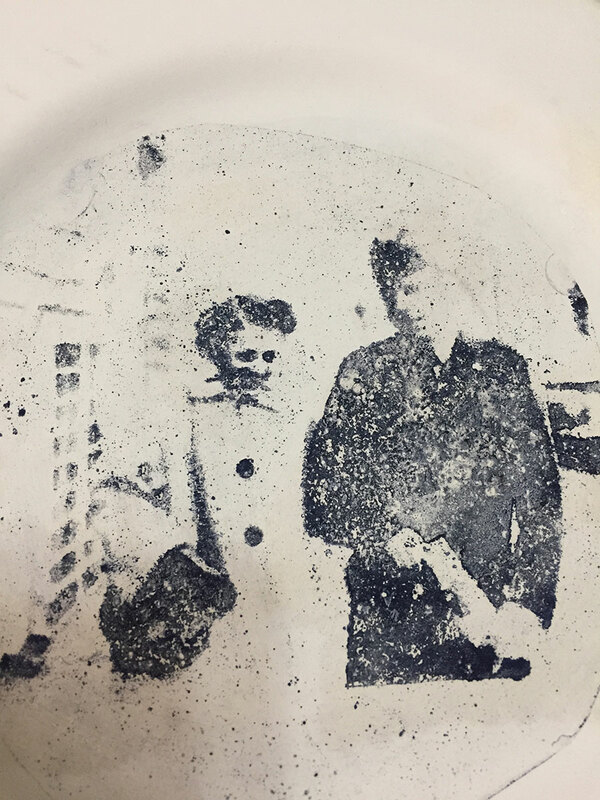 I am working with a genealogist friend, Cindy, on some new plates that maybe we can feature as sellable items to genealogy clients. We got together last week to try with some of her images, but my gum arabic was in the garage in this AZ heat for too long and it did not work. 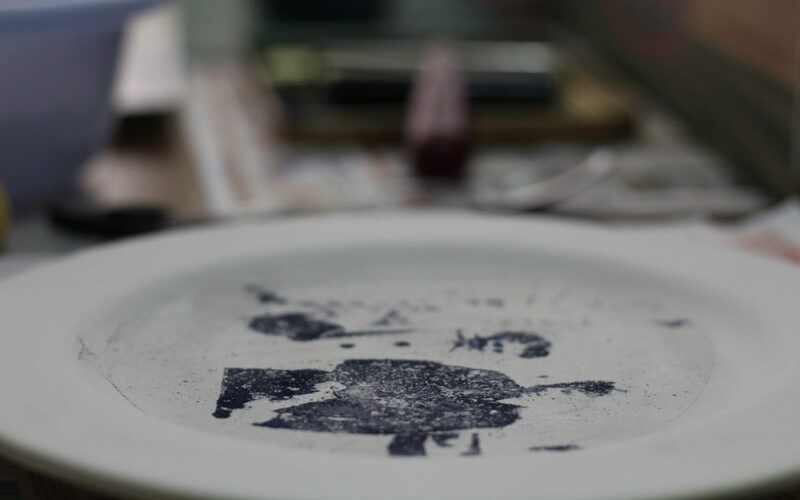 After getting some more supplies and more plates to transfer to, I started the process over today. 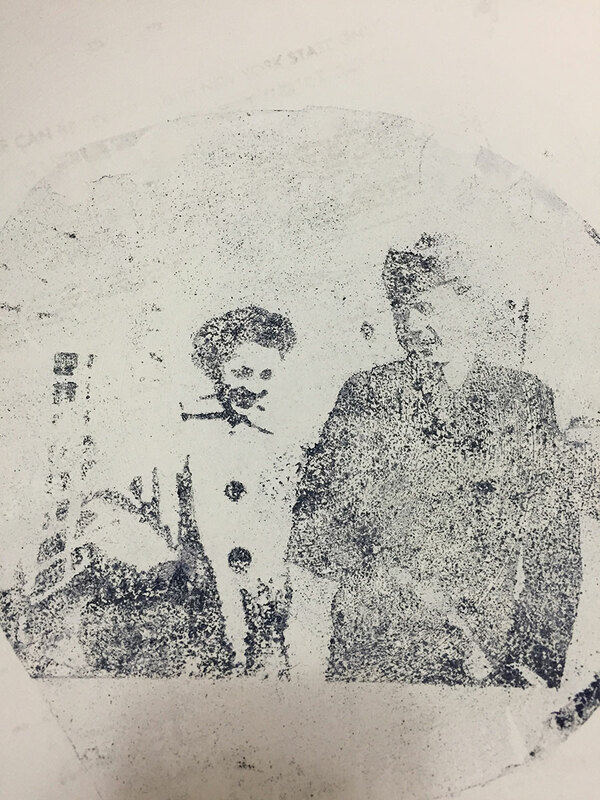 I used images of my parents from an old photo and tried some filters in photoshop – torn edges and graphic pen – and printed them from my laser printer. Mind you, the laser prints worked before. But again today, the images came out a little dappled and more distressed than I prefer. Looking online I noticed some other ceramic artists are repeating the inking 3 or 4 times. I only did it twice. And before Cindy comes over again to try her family images and documents, I am also going to make xerox copies, which is highly recommended. I’ll keep you posted.